Negotiating Short Sales: The Fast Track to Getting The Banks To Say Yes ! 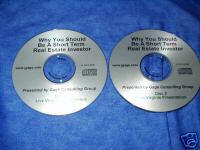 Many of you have asked for the real insider's secrets on how to get your short sales accepted. Learn from a seasoned Arbitrator on the tricks and methods to get the bank to say Yes to your offers in record time.